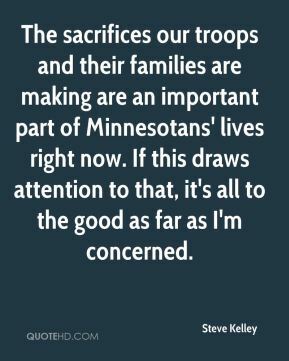 The sacrifices our troops and their families are making are an important part of Minnesotans' lives right now. If this draws attention to that, it's all to the good as far as I'm concerned. 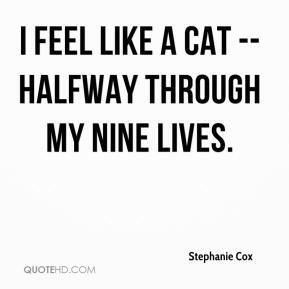 I feel like a cat -- halfway through my nine lives. 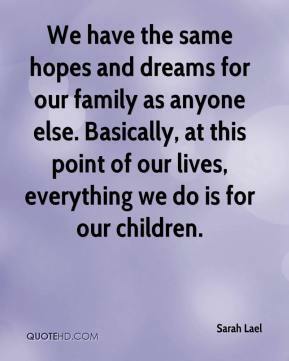 We have the same hopes and dreams for our family as anyone else. 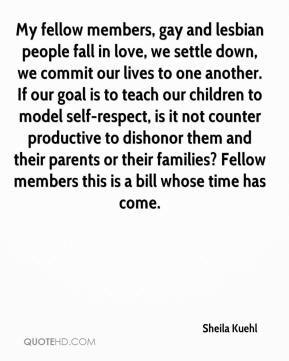 Basically, at this point of our lives, everything we do is for our children. 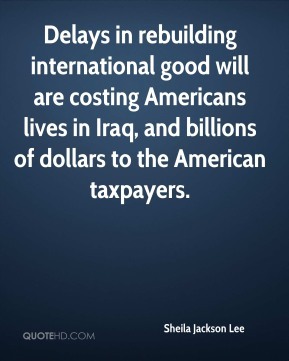 The primary goal is to save as many lives as possible as quickly as possible. 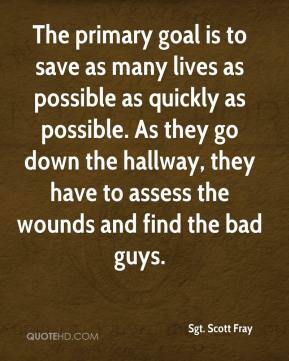 As they go down the hallway, they have to assess the wounds and find the bad guys. 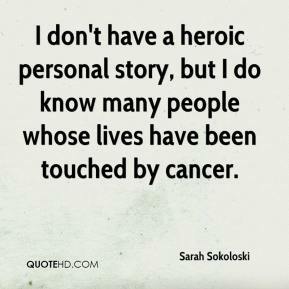 I don't have a heroic personal story, but I do know many people whose lives have been touched by cancer. 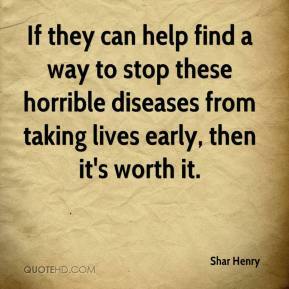 If they can help find a way to stop these horrible diseases from taking lives early, then it's worth it. 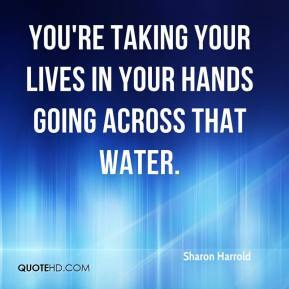 You're taking your lives in your hands going across that water. 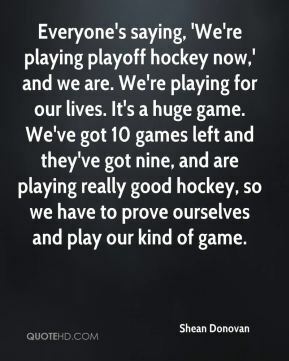 Everyone's saying, 'We're playing playoff hockey now,' and we are. 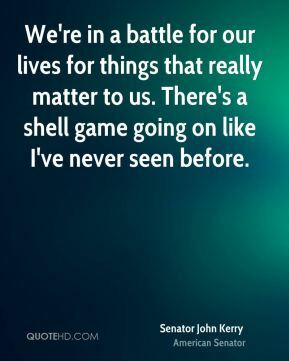 We're playing for our lives. It's a huge game. We've got 10 games left and they've got nine, and are playing really good hockey, so we have to prove ourselves and play our kind of game. 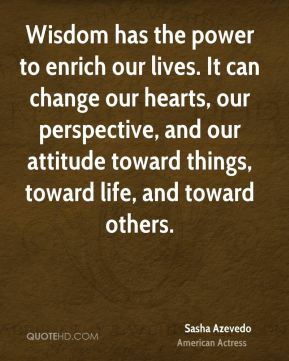 People have adversities in their lives that they must contend with all the time and still they lead productive lives. 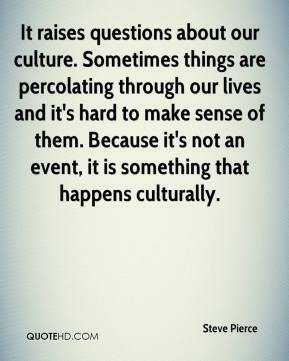 And it is not just illness that creates adversity. 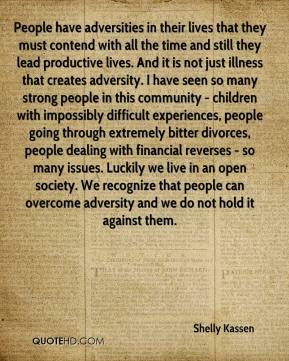 I have seen so many strong people in this community - children with impossibly difficult experiences, people going through extremely bitter divorces, people dealing with financial reverses - so many issues. 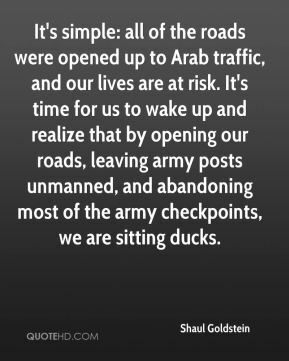 Luckily we live in an open society. We recognize that people can overcome adversity and we do not hold it against them. 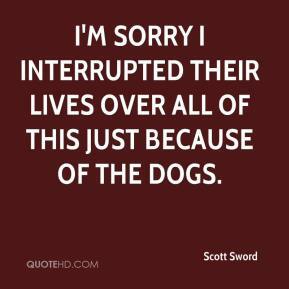 I'm sorry I interrupted their lives over all of this just because of the dogs. It's a metaphor for their lives: struggling, overwhelming, there's no turning back. But you see a transformation. You get to the top and you think 'I did that.' 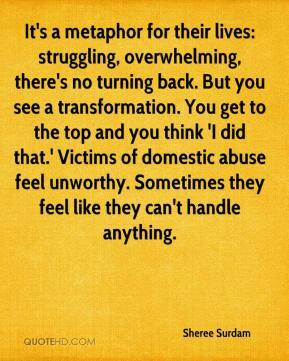 Victims of domestic abuse feel unworthy. Sometimes they feel like they can't handle anything. 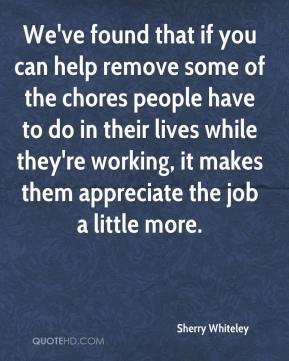 We've found that if you can help remove some of the chores people have to do in their lives while they're working, it makes them appreciate the job a little more. 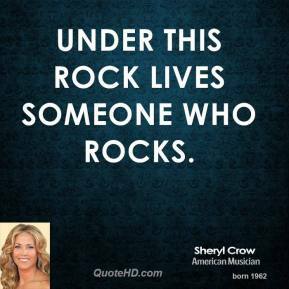 Partnerships between industry and education are so very important in the lives of our youth. 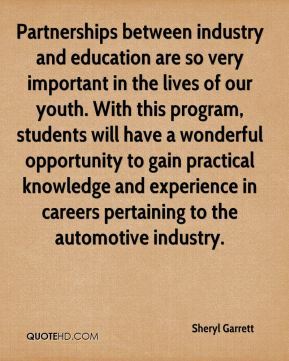 With this program, students will have a wonderful opportunity to gain practical knowledge and experience in careers pertaining to the automotive industry. 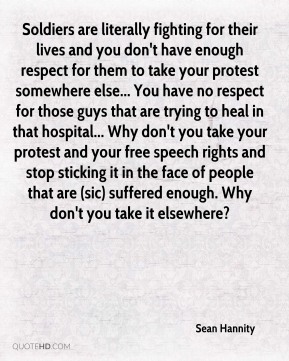 Soldiers are literally fighting for their lives and you don't have enough respect for them to take your protest somewhere else... You have no respect for those guys that are trying to heal in that hospital... Why don't you take your protest and your free speech rights and stop sticking it in the face of people that are (sic) suffered enough. Why don't you take it elsewhere? 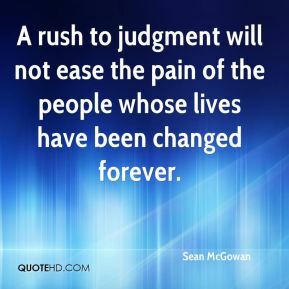 A rush to judgment will not ease the pain of the people whose lives have been changed forever. 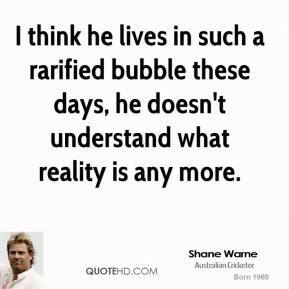 I think he lives in such a rarified bubble these days, he doesn't understand what reality is any more. 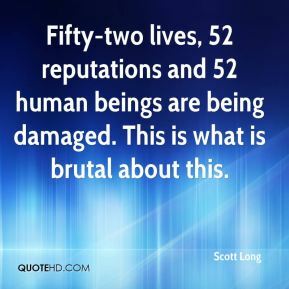 Fifty-two lives, 52 reputations and 52 human beings are being damaged. This is what is brutal about this. 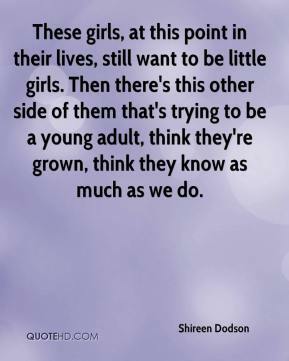 These girls, at this point in their lives, still want to be little girls. Then there's this other side of them that's trying to be a young adult, think they're grown, think they know as much as we do.